Wayne State University’s HIGH (Helping Individuals Go Higher) Program has been named a giving partner with one-for-one sock manufacturer Bombas. When a customer buys a pair of socks from Bombas, another pair is made and donated to homeless individuals. The HIGH Program will be able to donate one of the most vital items for a homeless person to their own students and also to other organizations in the Detroit area. For more information about Bombas, visit bombas.com. Founded in 2013, Bombas sells socks similar to Tom’s shoes; a pair of socks specifically designed for the homeless is donated for each pair sold. The socks that are created and donated by Bombas have several different benefits. They are designed specifically for being worn for a long period of time and are anti-microbial, have arch support, reinforced seams, a Y-stitched heel, a blister tab, a comforting footbed, and are made with darker colors and longstaple cotton. 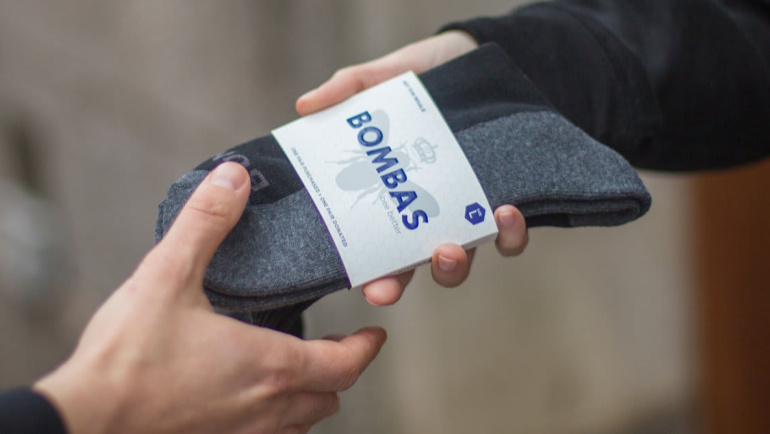 Bombas has donated more than 10 million pairs to the homeless community. The HIGH Program helps financially stressed students at Wayne State University reach their goal to graduate. The program provides resources for students-in-need such as housing support, textbooks and other school supplies. Now that the HIGH Program is a giving partner, they will be able to provide the HIGH Program’s students with socks and also connect with other organizations that are in contact with homeless individuals in the Detroit area. For more information about the HIGH Program, visit highprogram.wayne.edu.